Brisbane Heat have signed a 'rare talent' in the form of Afghanistan's Mujeeb Ur Rahman according to their head coach Daniel Vettori. The 17-year-old will provide the imported spin option during the 2018-19 Big Bash League season, following in the footsteps of Pakistan internationals Shadab Khan and Yasir Shah. "Mujeeb is a rare talent and we're delighted he is going to play in the BBL for the first time," Vettori said. "From what we have seen so far at international level and in competitions like the Indian Premier League and the Vitality T20 Blast in England, he has the skills and maturity to adapt and excel in a variety of conditions. "He has been successful in the power play and closing out an innings, so we will have options to explore depending on the state of the game. At this stage we anticipate having him for the entire BBL which is a bonus." 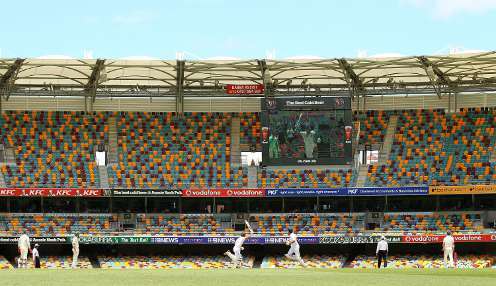 A tall off-spinner, with a propeller of a wrist, is the Heat's second overseas player, joining veteran New Zealander Brendon McCullum in Queensland. This past summer he featured for Hampshire, while his international economy rates of 3.84 runs per over in 50-over matches and 5.07 in Twenty20s highlight his value. "Once I played for my country I dreamed of playing in the IPL, county cricket and the Big Bash," Mujeeb himself added. "I have been able to achieve the first two so this is very exciting for me. I am looking forward to meeting up with everyone at the Heat and playing in Australia." The Heat are 1213.00 to win the 2018-19 Big Bash League, with the Perth Scorchers 1213.00 and the Adelaide Strikers 1213.00.